In the interest of quality, we focus on permanent optimisation of our quality and capability in medical technology. We develop and produce items exclusively tailored to customer specifications. We look back on over 30 years of know-how in the injection moulding of plastics and have focused on medical technology for more than 20 years. 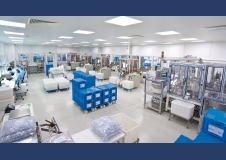 We work for well-known companies in the medical technology and pharmaceutical sectors.